The Boston University Ranking is joint 40th top USA college and 58th in the world on the University Review College Ranking List. It is ranked as the 42nd best college in the states by the USnews, and the 89th best by Forbes. As a private institution the Boston University tuition fees are $46,664 for both in and out of state students. It is a very selective college accepting 36.9% of applicants. Financial aid offered totals $217 million per year, at an average of $35,630 per student. SAT scores for the Boston University admission requirements (25th-75th percentile) are Math 600 – 700, Reading 580 – 670, and writing 590 – 680. The total composite SAT range for accepted applicants is 1180 to 1390. The requirements for ACT (25th-75th percentile) are Composite 26 – 30, English 26 – 31, Math 25 – 30, and Writing 8 – 9. 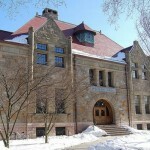 There are numerous universities located within the United States of America, both public and private in nature; Boston University (BU) is an example of an excellent private research university. 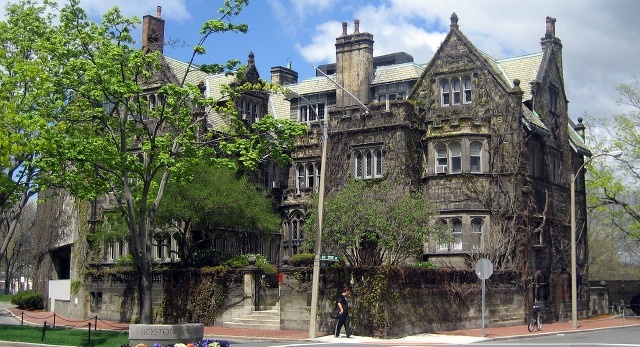 Photograph of The Castle at Boston University by Wally Gobetz. Ever since its founding in 1839 it has been at the forefront of a number of different research fields. It is currently home to about 27,000 students that are actively studying on the university grounds and many top quality courses are taught there every single day. There are a number of different colleges that split up the educational material at Boston University, MA; five of them to be exact. 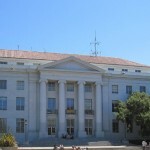 Within these colleges there are specialty schools. For example, if you were a student within the College of Arts and Sciences, you might also be a member of the School of Medicine or the Goldman School of Dental Medicine. There is a very clear hierarchy when it comes to classes at Boston University and this serves to enforce the professionalism of the school and is in fact something that many students have commented very positively on. As far as degree programs go, there are a number that are offered by the Boston University in dozens of different fields. The alphabetical list starts with African American Studies and ends with Urban Studies and Public Policy. Within those two endpoints of the list, there are a number of different degree programs not only running the scope of subjects being offered, but also running the gamut of difficulty. For example programs, such as Astronomy, have degree programs at the undergraduate, graduate and postgraduate levels; something that allows students who come to love the university the opportunity to stick around throughout their educational life. The campus on which Boston University is situated is a very beautiful place with a number of libraries and study areas with nice views. Many students have enjoyed studying there because of this, and if you read student comments made by alumni, this is something that pops up again and again. Other colleges in Massachusetts state include the University of Massachusetts, University of Massachusetts Medical School, MIT, Brandeis University, Tufts, Harvard University, Boston College, and Northeastern. The university is ranked as the 54th best in the world by the THE.